We're passionate about creating exceptional food experiences with a commitment to service and attention to detail. Welcome, if you are looking for unique and customizable experiences in Puerto Vallarta, Punta Mita, and Sayulita, you have come to the right place. At Prisar we�re experts when it comes to Luxury Wedding Planning and Organization, Coordination and Design of unforgettable events, in which we pour all our creativity, experience, knowledge about current trends and most importantly, our Passion. We are sure that your trust in our team will result in a perfect day! Best Puerto Vallarta Photographers! 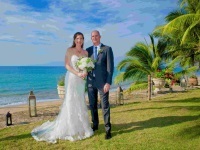 We Provide Wedding Photography Services in Puerto Vallarta and Sayulita! With experience in more than 200 Weddings in the last few years and working in Big Hotels and Small and charming Villas, you will have your best Wedding Photos in Puerto Vallarta!